Home / Movie Review / Movie Review--> Guardians of the Galaxy ~ A movie that looks like a spoof on superheroes but nevertheless highly entertains! Movie Review--> Guardians of the Galaxy ~ A movie that looks like a spoof on superheroes but nevertheless highly entertains! After many days of planning but having my plans of watching the movie getting dashed at the last moment, I was finally able to satisfy my anticipation for Guardians of the Galaxy today. I thoroughly enjoyed the comic timing, the 3 D graphics and the heroes who are comical, even seemingly stupid at times but still ready to lay down their lives to save the galaxy. The starting of the movie was so intriguing and emotionally wrenching that I had high hopes with the story but was soon let down when nothing of Peter Quill's past is told in the movie. Not even his abduction from earth and his journey of becoming the adventurer/petty thief is told. We are just plunged in a story which starts after twenty six years of the events of the starting of the movie. They are again taken up right at the end of the movie and left to be handled in the next film. 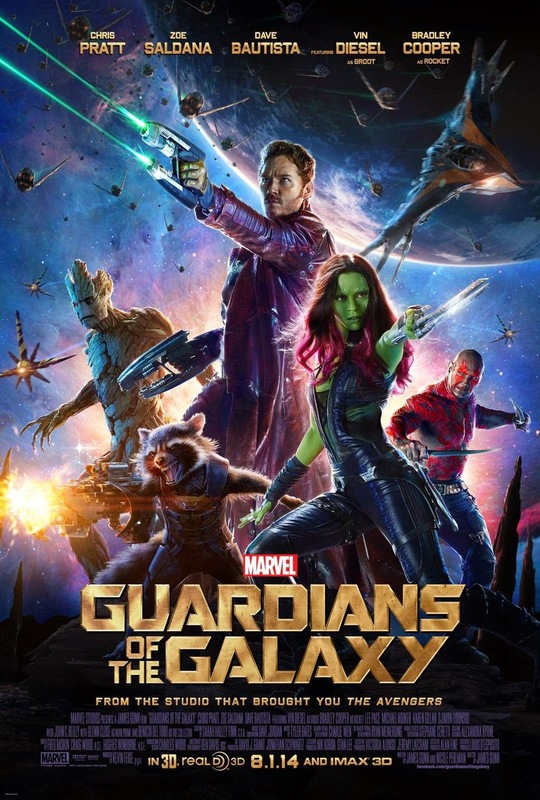 This was a bit of a let down to me but apart from this, Guardians of the Galaxy is a spoof like funny take on superheroes which tickles, makes the viewers laugh and enjoy the action. The acting of the actors is admirable and I have nothing to complain here. They bond together beautifully, make you laugh and then cry some and make all the extra terrestrial settings seem real. It's a visual treat but I could have done better with a crisper story and a better handling of the sequence of events with respect to the start of the movie and the rest of the movie. All in all, an enjoyable movie from Marvel which is completely different from their usual creations but entertaining nonetheless. You should not miss watching this movie in 3D for the effects are noteworthy, a complete visual treat and worth every penny spent.